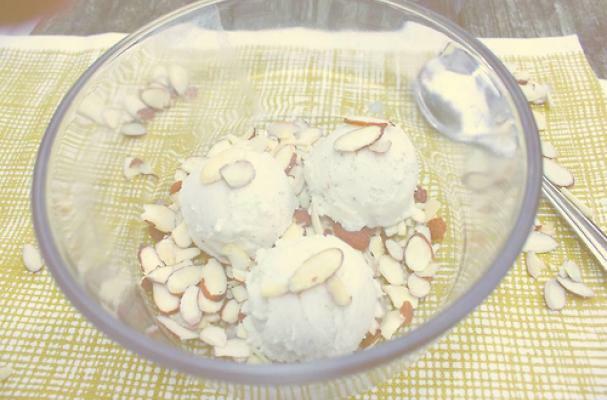 Hemp ice cream is a vegan dessert that you can feel good about eating. Coconut cream and milk are pureed with hemp seeds to form the base of this dessert. Hemp seeds are considered to be a complete protein and rich in omega-3 and omega-6 fatty acids. You can serve this sweet treat with chopped nuts, fresh mango or candied coconut. Mix the coconut cream and coconut milk in a medium saucepan over medium heat. Once the mixture starts to simmer, pour it into a food processor with the hemp seeds and blend on high until the seeds are thoroughly mixed in. Pour the blended mixture back into the saucepan and cook over low heat. Mix together the cane sugar and guar gum in a small bowl, then pour into coconut milk and cream mixture. Stir frequently. Once mixture starts to simmer, remove from heat and still in vanilla extract. Stir for about 30 seconds. Let cool to room temperature, transfer to a container, cover with plastic wrap, and let ripen in refrigerator for at least eight hours. When the batter is ready, pour it into an ice cream maker (through a strainer) and churn according to manufacturer's instructions.